Suggested Workflow for Educators - Coming Soon! Nature Maestro Expedition version is a complete package with Rainforest Day, Rainforest Night, Glacier Bay and an additional Earth In Concert view. 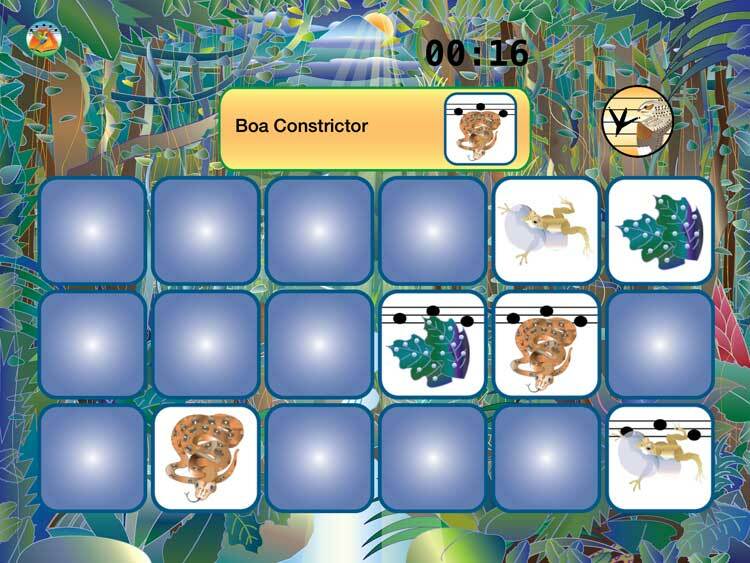 It includes curriculum tie-ins for Common Core State Standards. This screenshot is a sample from the multi-page Chalkboard section contained within the app. 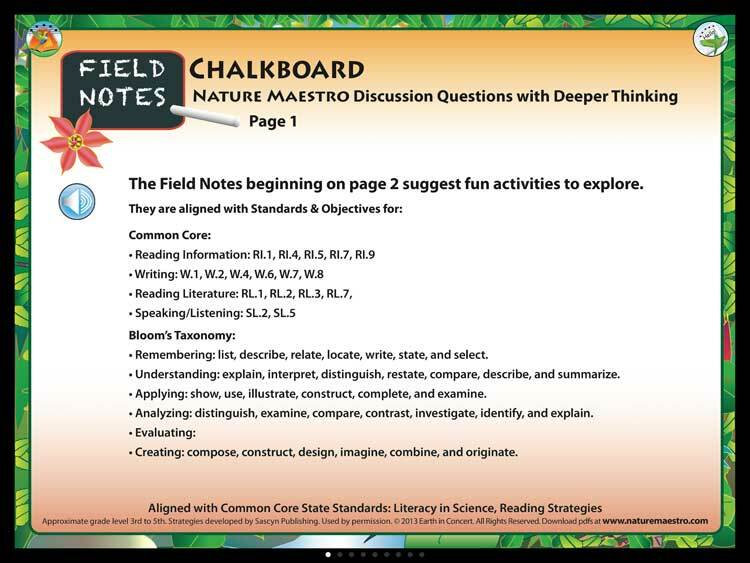 The Field Notes are aligned with the Common Core State Standards: Literacy in Science and Reading Strategies. 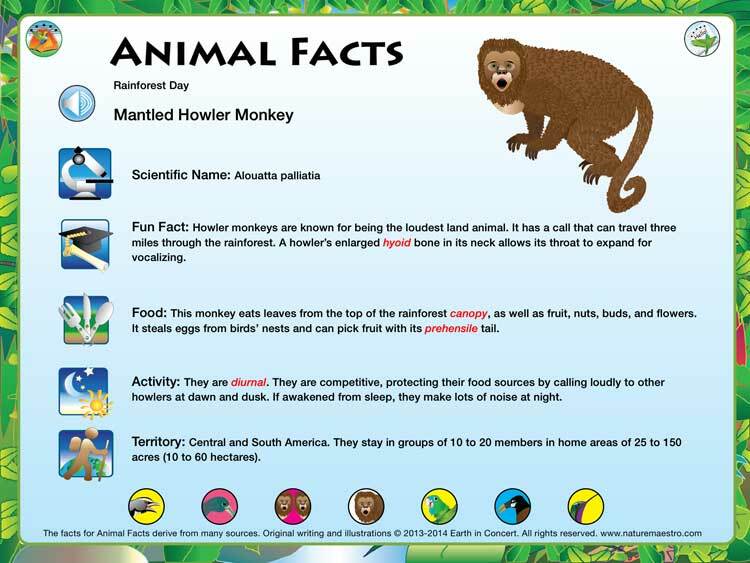 You'll find learning enrichment activities and materials for use with the Nature Maestro Expedition App for iPad. 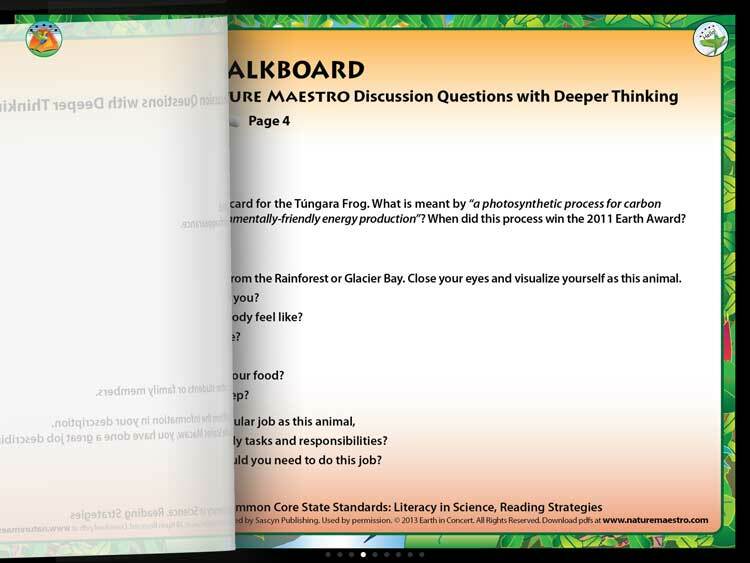 Now all Nature Maestro apps have curriculum tie-ins for Common Core State Standards found in the field notes. Just tap the field notes hotspot on Dennis' pocket.